Looking to bring a touch of sophistication to your dining room's décor? 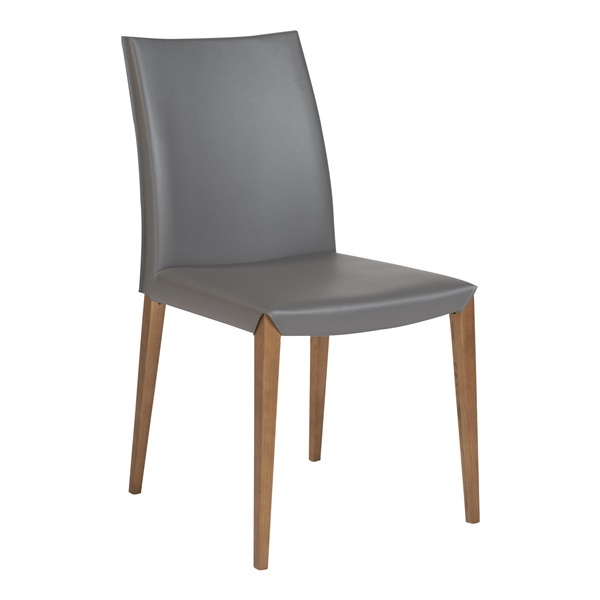 Check out the Maricella Dining Chair from Eurostyle, and you can enjoy a sleek, stylish and practical dining chair. This deluxe dining chair includes a regenerated leather seat and back, ensuring you can sit comfortably for hours. Plus, the dining chair features solid ash legs in a walnut finish and are sure to impress. Choose a dining chair that will match the décor in a modern or traditional dining room perfectly with the Maricella Dining Chair.